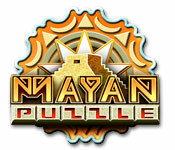 Mayan Puzzle is rated 3.0 out of 5 by 6. Rated 5 out of 5 by ms_ann from very addictive " Lots of fun" would recommend this game to everyone who enjoys puzzles and challenges. Rated 4 out of 5 by mrm2006 from WOW! Different M3! This is definitely a totally different match 3 (M3) game than I am used to. I had a lot of difficulty playing on Classic Mode. It is more of a strategy game than a match game, although you do have to match 3 or more of the same colored blocks. It levels up quickly and gets harder and harder quickly too. Would only recommend this for those who are good at strategy games or have an extreme level of patience. 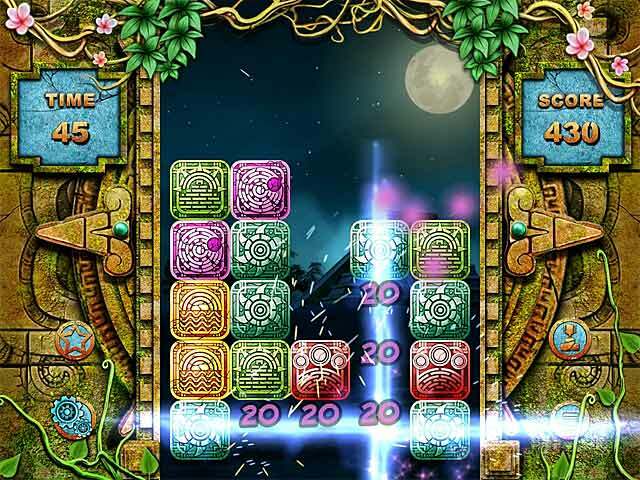 There are four difficulty modes of play. The background is a gorgeous Mayan scene. In Classic mode,you complete every level (it's really hard). In Time Trial mode, you try to keep up with the time, Challenge mode is extremely difficult and in Marathon mode, you just keep playing until you can't anymore. This was an extremely difficult game for me because I'm not good at strategy type games. However, I believe everyone should give this game a chance. It's a free demo - just because it's not for me doesn't mean you won't love it. Happy Gaming. 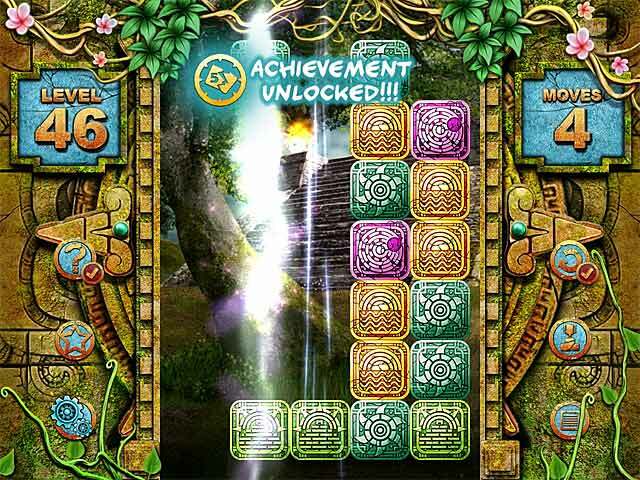 Rated 4 out of 5 by casmir2012 from Needs more levels BUT great game! NEEDS MORE LEVELS!!! fifty was not enough. Rated 2 out of 5 by arnold1049 from DON'T HAVE A CLUE I tried playing all four types of gameplay, Classic, Time Trial, Challenge and Marathon and the only one I could figure out was the Classic. Here at least you have a map of locations/grids to play and you must successfully complete each location before the next one is unlocked. Successful completion means clearing the grid in X-number of moves. If you haven't done it in 20 tries, then you get one hint. The one time I earned a hint, that was all I needed, just the first swap which then made the other moves logical. The kicker in all the types of play is that lateral movement is the only kind allowed. You cannot move any of the tiles vertically, which is both frustrating and limiting. I also saw no mention of a skip button. The other three types of play I could never figure out how to advance from the first grid. Exactly what did I need to accomplish? Playing Time Trial, what did I need to complete before the time ran out? Is clearing the board the goal for all the types of gameplay? The only choice I saw was play again or return to menu. I don't mind a challenge if I know what I'm trying to accomplish. Playing the exact same grid 20 times before getting any help is way too much frustration for me. This game just left me irritated and clueless. Rated 2 out of 5 by myyorkies1994 from Not My Type of M3 This is a most unusual M3 in that you can only make horizontal moves, and it's more of a puzzle game than M3. 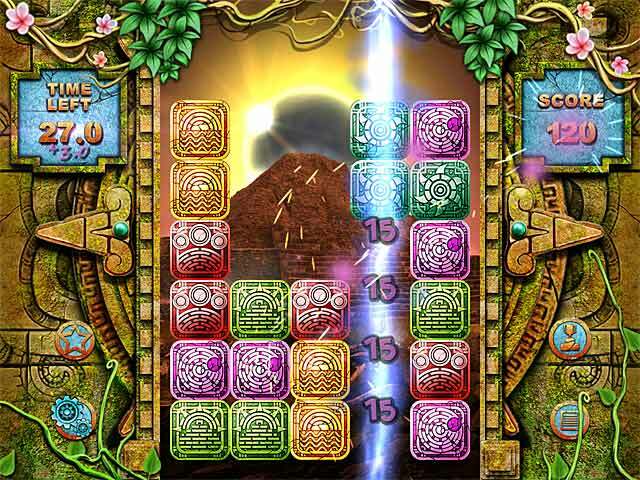 There are several modes to play, among them allowed number of moves and timed. The music and graphics are great, but this game just isn't my kind of M3. Rated 1 out of 5 by Imthegrama from Boring I really hated this game. Found it very boring. You have options of versions. I had to play the marathon to even find any interest in this game. You only move sideways in this one and it's just too easy for anyone who plays match a lot.